The engine room is fitted with an automatic fire extinguisher. Built from carbon steel with 12mm thick steel full length keeland 6mm thick hull with 3mm thick superstructure. This Steel Motor Yacht is based on a Nelson. She was designed by a naval architect and built by professional fabricators and shipwrights. She is RCD certified. She is a capable vessel able to handle the most adverse weather conditions . The accommodation comprises of four cabins. A main saloon with the helmsmans position to port and seating to starboard. Moving forward from the saloon is the galley to starboard with a dinette arrangement opposite, which converts to a double berth. The forward cabin has 2 large single berths. Aft from the saloon is the master cabin with a large double bed and an en-suite with a shower. There's a good sized dressing table and ample hanging space for evening wear. 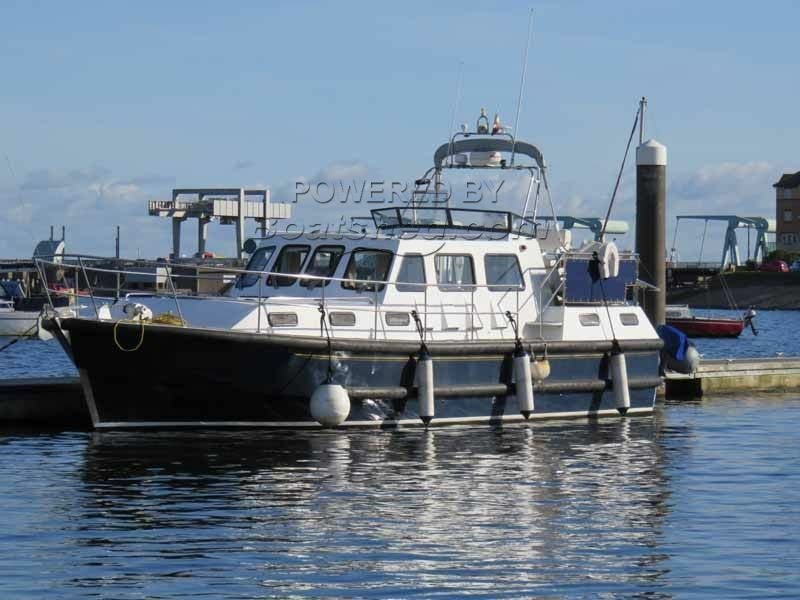 She is a vessel which is economical to run and easy to handle with her bow thruster. She has been well loved and maintained by a very experienced owner. This is a motor yacht with great presence that will always attract admiring glances and comments. This Steel Motor Boat 38 Nelson Style has been personally photographed and viewed by Keith Doust on 07968 375172 of Boatshed Wales. Click here for contact details. Please note this comments section is public. Please do not post your personal details here. To enquire about purchasing this boat, please contact the broker directly at keith@boatshedwales.com. Please read our commenting guidelines before posting.